It happened on the night of March 12, 1985 on California, when the two main Christian Hard Rock bands, Resurrection band and Stryper crossed paths for the first and only time in history. Resurrection band, came from the 70s opening the way of Hard Rock within the Christian music industry, while Stryper's newcomers arrived in the 80s to open the way for the secular market. This is how this concert becomes a historical event, as the two main Christian hard rock bands would share the same stage for the first and only time in history. 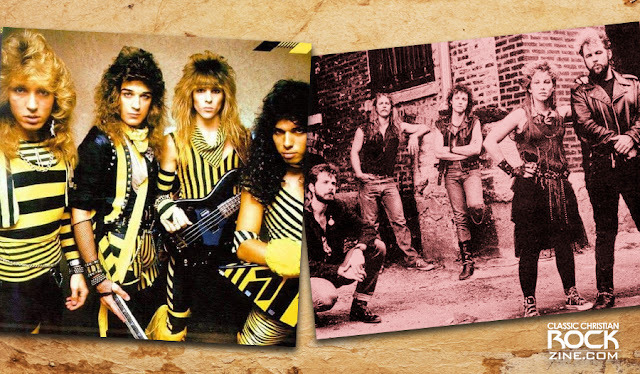 Just a few days before Stryper and Resurrection band released "Soldiers Under Command", and "Between Heaven 'n Hell" respectively, many were preparing to be in front of these two reference bands of the Christian metal at that time. Around 5000 people attended that night to listen to the well-known songs of Resurrection band, and the new songs of the recent Glam Metal stars, Stryper. 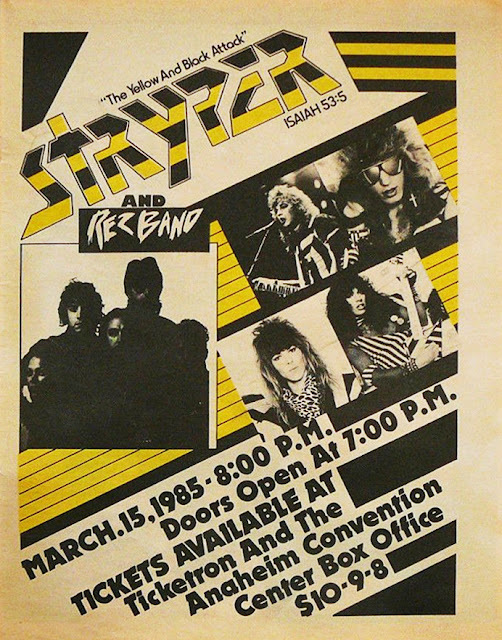 Seen from outside the Christian industry, it is normal that Resurrection band opened the concert for Stryper, considering the popularity that Stryper had achieved in just one year, a popularity that Resurrection band did not have in the mainstream. and nicknamed by some as The Fathers of Christian Metal, which that night were opening for a new Christian band that had gained much notoriety from both within and outside the Christian industry. The legends were opening for Stryper, it's like if Black Sabbath or Led Zepellin opened the show a Mötley Crüe, Crazy. However, that recent Christian Glam Metal band that stole the headlines in the metal world with their music in the 80s, is still in force 30 years later, making new music, videos and concerts, just as they did in the 80s, but with the respect and admiration of all the metal fans who can not deny the fact that Stryper has become one of the most solid Heavy Metal bands that still endure.